SaveDrives is the perfect way to track your routes. It saves your drives and can be used as a dashboard camera. You can easily save your journeys, whether you drive your car, truck, motorcycle or even bicycle. 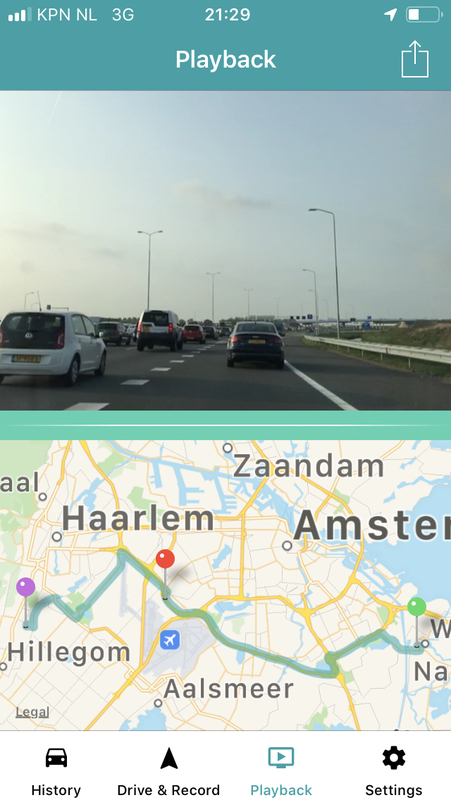 SaveDrives saves your drive and can also turn your iPhone into a dashcam. Record what happens in front of your car and view it back later. You can optionally record in HD quality. Playback the last 30 minutes of your recorded video footage and extract special events that you wish to keep. You can make video clips of 10, 30 or even 60 seconds. Browse your routes and statistics. Check your average speed and speed graph. 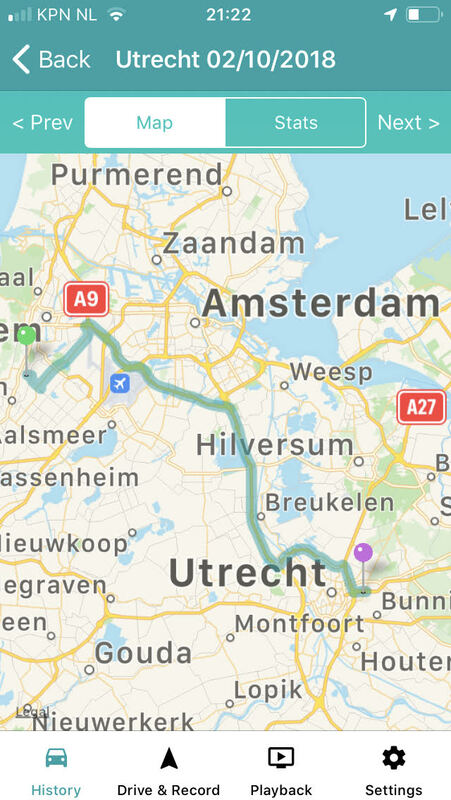 Export your routes for mileage tracking. Label your drives as private or business drives. SaveDrives recognizes business drives once you’ve labeled them the first time. Great app. Makes me feel secure in my car, knowing I can replay what I see on the road. Handy. 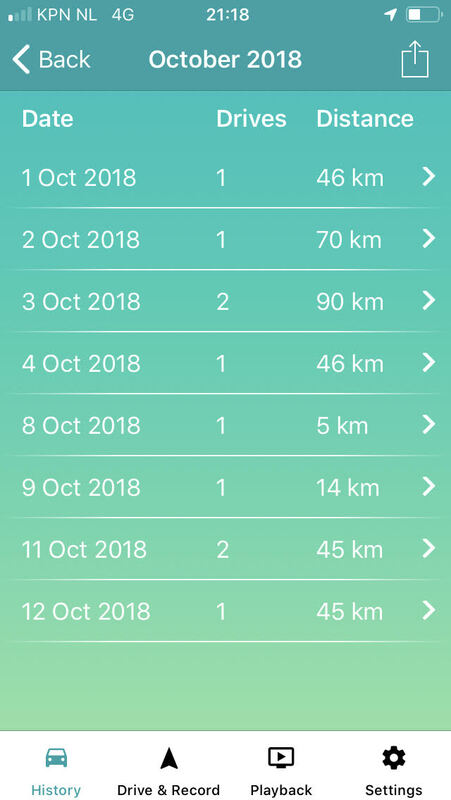 Very convenient to track my mileage. Also great for tracking road rally scavenger hunts. 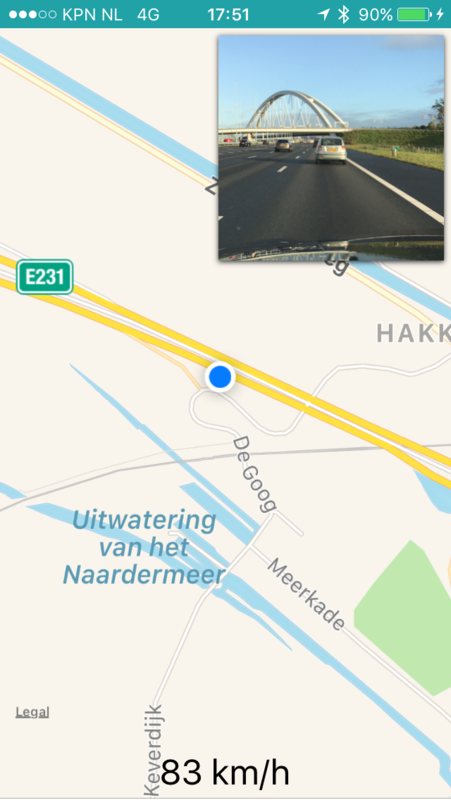 This is a perfect app to check if drivers follow the correct route. This is a one of a kind App. It’s extremely easy to use, will be invaluable in case of road accidents and has nice features. Fun and speed. 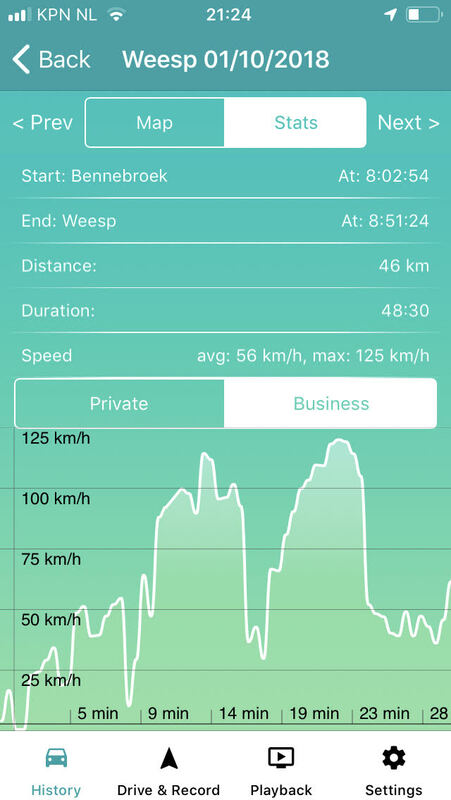 It’s not only fun to shoot my road trip in the car, I also use it in my bicycle trainings to monitor my speed graph.